After graduating from Waseda University, and completing graduate studies in the US, worked as a market research analyst in the US. Returned to Japan, and worked for a market research company, before joining Intel in 2000. Following several roles in upper management, was appointed as General Manager of Marketing Headquarters, responsible for brand strategy, sales promotion planning, market research, and Internet marketing. In 2010, became responsible for Intel’s marketing activities in the Asia-Pacific region, as Director of Marketing and Consumer Sales, based in Hong Kong. 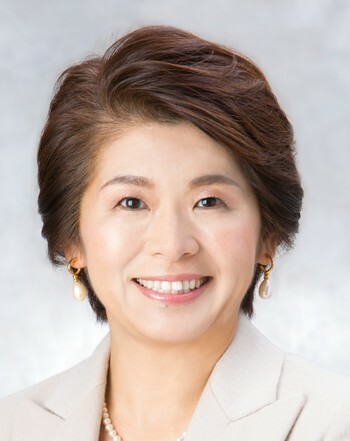 In October 2013, she was appointed as President and Representative Director of Intel Japan K.K., where she worked until March 2018. Makiko was appointed as Chief Representative Officer of World Economic Forum Japan in April 2018. Works to open up new markets and create demand, by utilizing knowledge and experience gained through implementing and leading a diverse range of marketing activities for over two decades. Also utilizes her far-reaching experience of working in the US, Japan, and Asia to cultivate employees with the skills to succeed in global business. Also, serving on committee for the promotion of regulatory reform by Japan government from September 2016.